One of the best parts of being Head of the Civil Service is getting around the UK to see the Civil Service in action. Last week, I was lucky enough to visit Scotland for the third time this year, travelling to Edinburgh. The city has a long history of public service (it was the first place in the world with its own fire brigade! ), and I was particularly pleased to find out more from Scottish Government officials about the great work they do. I was impressed, as always, by the commitment of everyone I met, and saw yet more evidence of the collaborative working that is helping to make the Civil Service more effective. 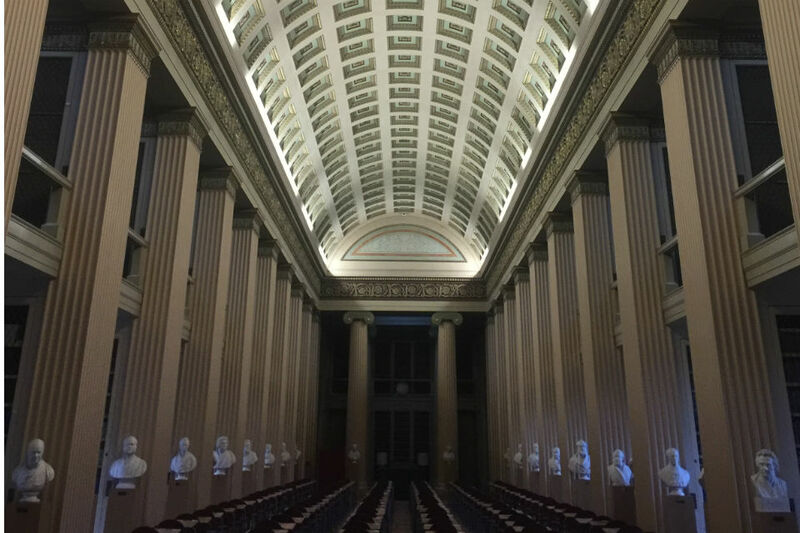 Dating back to 1583, Edinburgh University - one of Scotland’s so-called ‘ancients’ - is an exceptional institution, at the cutting edge in fields including data and bioscience. My visit began with a breakfast meeting with Professor Sir Tim O’Shea, Vice-Chancellor of the university. We discussed the well-trodden path between the university and the Civil Service - around 40 of their students joined our Fast Stream this year alone. Over the coming year, I intend to visit universities across the country, as we look to encourage more top graduates to choose a Civil Service career. I also want to learn from Edinburgh’s strength in supporting students from disadvantaged backgrounds, to inform our drive to improve diversity in the Civil Service. I was interested to hear about the Massive Open Online Courses (MOOCs) that Edinburgh offers and of which it was the European pioneer. Their online learning platform has attracted more than 2 million sign-ups internationally, putting them at the forefront of the digital revolution in higher education. We can learn from this as we make more use of online learning in the Civil Service. My next stop, was the university’s Easter Bush campus. In a city with over 4,000 listed buildings, more than anywhere else in the UK, I was about to see one of its modern masterpieces. Touring the Advanced Computing Facility, I met ARCHER. Not the cartoon spy, nor a medieval soldier, ARCHER (Academic Research Computing High End Resource) is a £43 million supercomputer - the most powerful in the UK - capable of over a million billion calculations per second! It allows researchers, particularly private sector companies, to run high-speed simulations and calculations and tackle previously unsolvable problems. 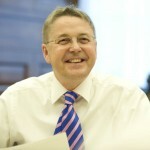 Jeremy Heywood at the Advanced Computing Facility, Edinburgh University. The Advanced Computing Facility and ARCHER are part of the Alan Turing Institute, the UK national centre for data science. The institute was officially launched last month by the Minister for Science and Universities. It combines the work of five top UK universities and will enable knowledge and predictions to be drawn from large-scale and diverse data - informing scientific and technological discoveries, creating new business opportunities and improving the world’s environment, health and infrastructure. It will also influence policy-making. Data science is a particular focus of the Civil Service, which we need to build into a core profession if we are to stay at the cutting edge and continue to transform services. Much of my visit concentrated on meeting Scotland’s policy researchers, creators and implementers. Professor Charlie Jeffery told me about work the Centre for Constitutional Change has done to improve understanding of devolution to Scotland and across the UK. It is crucial that, as a Civil Service, we enhance understanding of this often complex division of responsibilities. This starts with improving our own understanding, and we discussed how civil servants might use the centre’s devolution MOOC. I also spent time with Scottish Government colleagues. As well as two productive policy roundtables, on modern policy making and health & social care integration in Scotland, I participated in a staff engagement session with 70 members of staff, alongside Leslie Evans, Scottish Government Permanent Secretary. 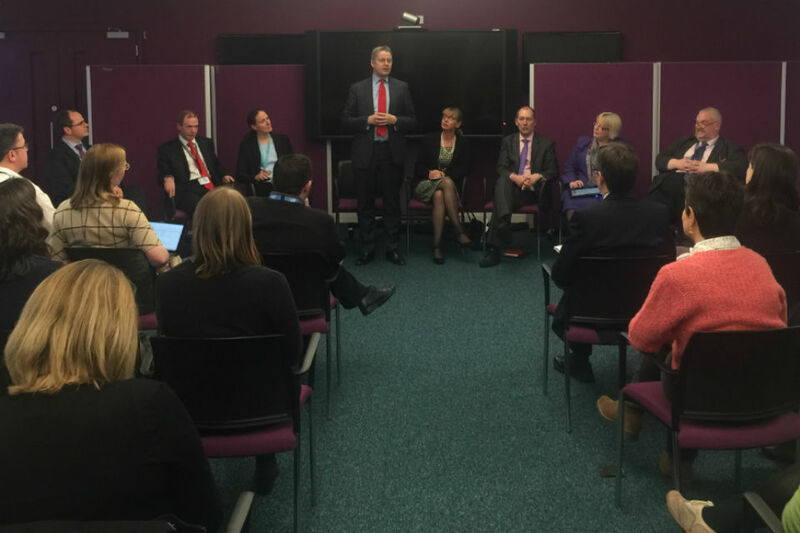 Jeremy Heywood speaking at a staff engagement session, with Scottish Government Permanent Secretary Leslie Evans (seated centre). I set out my key priorities for the Civil Service for the year ahead. It was an open and forthright session, with some probing questions on topics as varied as bullying, leadership and how the Civil Service can do more for less. We also talked about devolution. As I said in a previous blog, there is much that civil servants supporting the UK and Scottish governments can learn from each other. We need to support this through more interchange, closer collaboration on areas of joint interest (it was great to hear how DWP, HMRC and Scottish Government officials are working together on the devolution of welfare and tax powers), and learning about where we do things differently on policy. We are one Civil Service, and much the better for it. This isn’t just about the UK and Scotland governments, though – I encourage all civil servants to take up opportunities to work with those outside their team or locality to share ideas and best practice. My last stop was with one of HMRC’s high-performing teams in Scotland. I was fascinated by their innovative techniques for harnessing more data and improving their analytical capability in tackling tax avoidance. This enables them to identify more of the hidden economy (businesses that are off the map and don’t pay any tax) than ever before, saving hundreds of millions of pounds for the taxpayer every year and sending a strong signal that tax avoidance will not be tolerated. This is really inspiring work, and their enthusiasm for digital improvements that help them do their job more effectively was infectious. I also learned about preparations for the Scottish Rate of Income Tax, to be introduced from April 2016 (following the 2012 Scotland Act). HMRC are writing to inform Scottish taxpayers, as well as engaging with employers, to ensure that all are prepared for the change – a clear demonstration of legislation coming to life. As always happens when I have the chance to see the fantastic work of civil servants, I returned from my visit energised and hugely optimistic about the future of this great organisation. I want to thank everyone who helped to arrange the trip and took the time to talk to me about the projects they are working on. Glad to see the diverse Civil Service operations and skills highlighted across the UK here. A small correction though. You write how the Edinburgh University's supercomputer is the most powerful in the UK - "capable of over a million billion calculations per second." 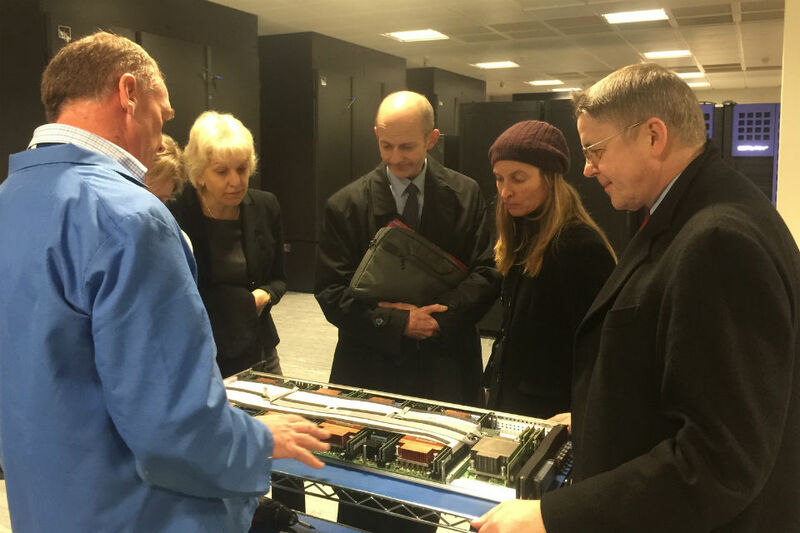 Surely it would be worth knowing and emphasising that the most powerful supercomputer in the UK is in fact within the Civil Service! The Met Office's new supercomputer can do more than 1000 trillion calculations a second.